Home / ann taylor / Banana Republic / Kate Spade / lemons / prints / spring fashion / "To improve is to change; to be perfect is to change often." Sorry for my absenteeism. Finals have wrapped up, and I decided to take a few days to unwind (a.k.a. re-watch old Grey's Anatomy episodes). Over the next few days, you may notice some changes around the blog--this summer, I really want to develop a more focused theme, which may include a change in the blogs name, but I haven't decided for certain yet. 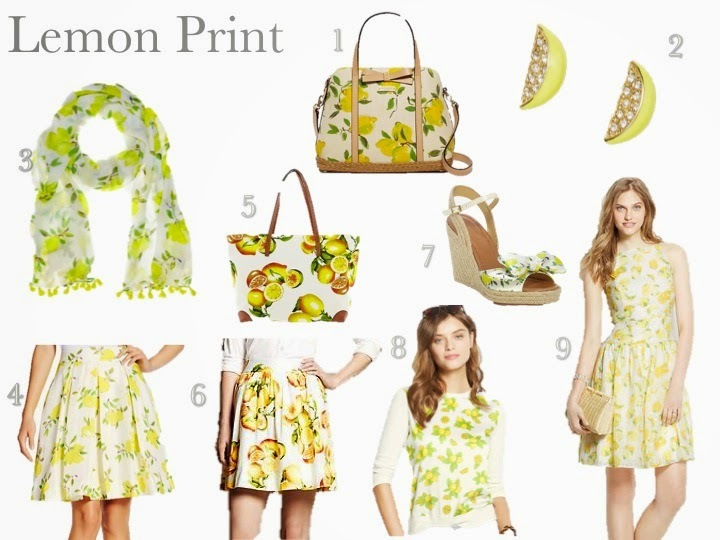 Until I can perfect a layout, name, and theme, I thought I'd leave you with something a bit tangier--lemon prints for spring.